Jordan Lee didn't have many quality fish to hold up for the fans this week in Knoxville, Tenn. The day-2 leaders at the 49th Bassmaster Classic can rest easy – Jordan Lee won't rally from back in the pack to claim the trophy for the third consecutive year. 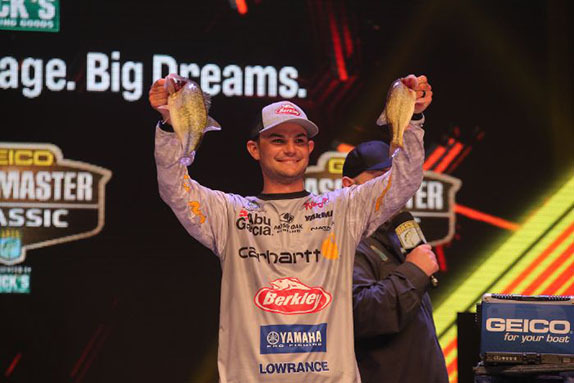 The 27-year-old Lee's two-year reign as Classic champion came to an end as he finished 42nd at Fort Loudoun-Tellico Lakes in Tennessee with a two-day total of 13-10. That mark was about 6 1/2 pounds shy of what he needed to advance to the final day as the 52-angler field was reduced to the top 25. 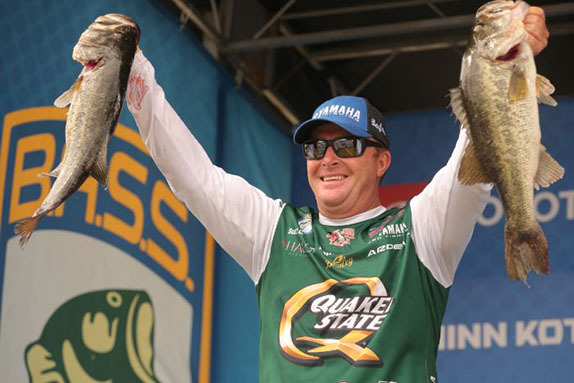 Instead of breaking other anglers' hearts at the weigh-in on Sunday, Lee will chat with fans and promote his sponsors' products at the Classic Expo at the Knoxville Convention Center. "I don't have a game plan for the day, but I'm sure it'll be busy," he said. "There will be a lot of people wanting to talk and it'll be fun to mingle with the fans. "It's where I deserve to be after my performance this week and you won't hear me complain one bit. It was just one of those weeks." Indeed, it was a lackluster showing in what might've been his final Classic (he's one of more than five dozen anglers who've left the Bassmaster Elite Series in favor of the new Major League Fishing Bass Pro Tour). He didn't uncover much during practice for the event, and that showed in his results. He followed up his miniscule limit (8-06) on day 1 with a three-fish, 5-04 stringer on day 2. "I was fishing ahead of the fish, I'm sure," he said. "I was fishing in the backs of creeks and on the bank. In practice or in the tournament, I didn't concentrate on anything that was away from the bank. That's kind of not like me, but with the water being so dirty, I was kind of scared to fish deeper." 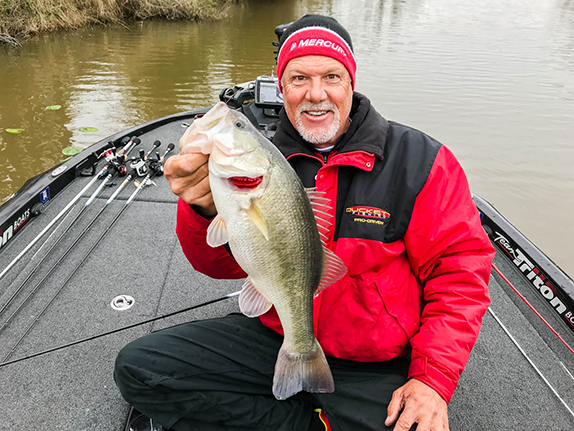 He won the first BPT event at Lake Toho last month and now will transition back to MLF-style fishing (catch-and-immediate-release, all scorable bass count, competitors always know their place in the standings, etc.) for the upcoming event that will play out on a trio of lakes in North Carolina. He's uncertain as to whether he'll ever compete in another tour-level derby based on a five-fish limit. "It's a different feeling and I don't know how to describe it exactly, but I know I'm excited about where the sport is going as a whole. It's not just B.A.S.S. vs. FLW vs. MLF, but the whole sport is getting bigger and there's more opportunities for guys. Things are getting better. "Having no entry fees (the BPT is the first pro circuit to adopt that scenario) is a really big deal in our sport. I feel like that's just huge for bass fishing. I don't have any regrets, though; I've fished five Classics now over five years and they've gone about as good as I could've ever hoped for. I've been happy to live my dream over here (with B.A.S.S.) and it was a great way to start my career." No matter the format, if he ever gets another shot at Fort-Loudoun-Tellico, he expects considerably better results. 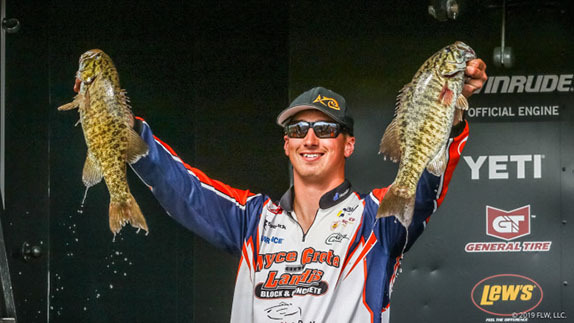 "Grand Lake really stumped me in the Classic (in 2016, when he finished 29th), and then I made the top 12 in the Elite Series event there last year. I usually learn from my mistakes, but sometimes I struggle with finding the fish in cold-water tournaments. "When it comes to fishing, I never need any critics because I feel like I'm the hardest person on myself that anyone could possibly be. I remember the bad ones more than the good ones and I feel like they make me a better fisherman."